We wish you the best especially to those in the Armed Services who protect our right to enjoy these special days. It was a hot day, but Moy was hotter! 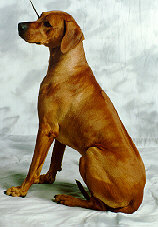 The Ridgeback represents a strong, muscular and active dog, symmetrical and balanced in outline. 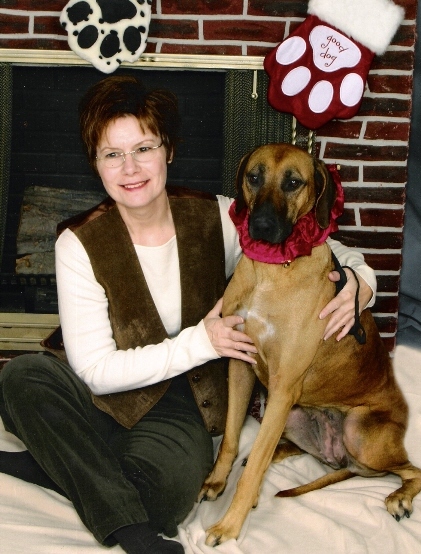 A mature Ridgeback is a handsome, upstanding and athletic dog, capable of great endurance with a fair (good) amount of speed. 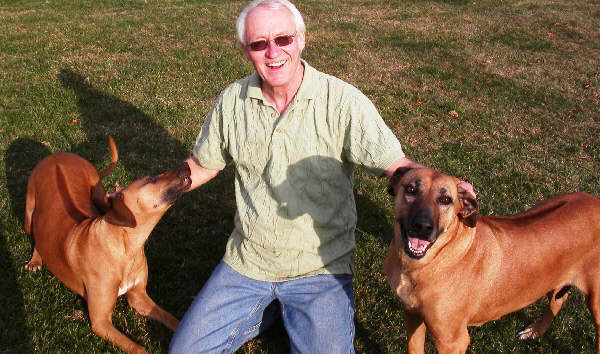 The peculiarity of this breed is the ridge on the back. 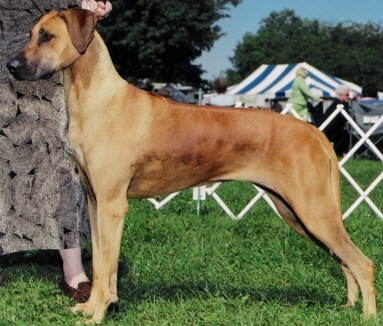 The ridge must be regarded as the characteristic feature of the breed. 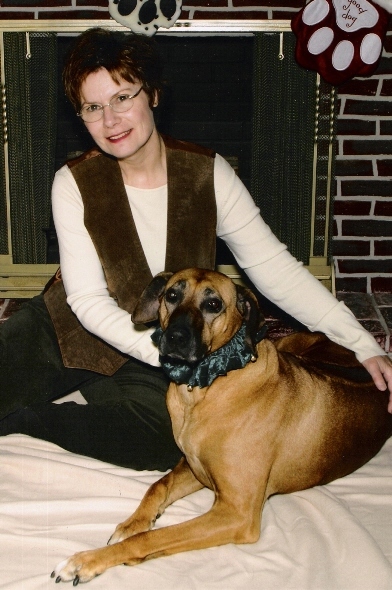 Of even, dignified temperament, the Ridgeback is devoted and affectionate to his master, reserved with strangers. We are pleased to have you meet our champions. 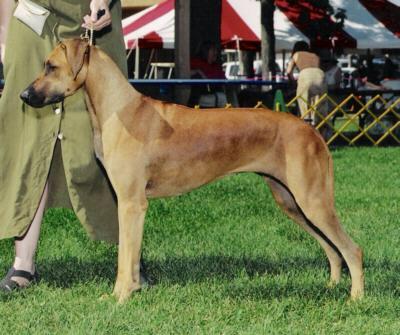 In the links, we will share other pictures of our champions and also some pictures of our pet ridgebacks, Movourneen Gile Spog L'Gara (Paws) and Movourneen Greim L'Sheelin (Stitches). We hope you enjoy your visit. For more information about us, E-mail us.